Kathleen M. “Grandma”. 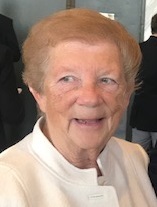 Cunningham (nee McClay), 76 of Whiting passed away peacefully on the evening of Sunday, March 31, 2019 at her residence. She was the beloved wife of the late Herbert J. Cunningham who passed away on February 16, 2002. She is survived by five children, Wendie (Randy) Hoaks, David (Paula), Richard (Susan), Dennis (Phyllis) and Henry (Wendy); many grandchildren and great grandchildren; numerous nieces and nephews. A committal service for the interment of Kathy’s cremains will be held on Saturday, May 4, 2019 at 11:00am at the Concordia Cemetery, 6551 Calumet Avenue, Hammond; there was no visitation. Arrangements have been entrusted to the Baran Funeral Home, 1235-119th St., Whiting. Kathy Cunningham was born on April 18, 1942 to Mac and Gladys McClay and was a lifelong resident of the Hammond-Whiting communities. She was the owner and operator of Very Fine Wash on 119th St. in Whiting for the past 18 years. In honor of Kathy’s favorite holiday, “Derby Day” (May 4), please wear a festive hat to the ceremony. In lieu of flowers, memorials to the Whiting Food Pantry, P.O. Box 591, Whiting, IN 46394, would be appreciated. There's still time to send flowers to the Interment at the Concordia Cemetery at 11:00 AM on May 4, 2019.